I wrote this post for my monthly newsletter and I've decided its worth sharing here with you. Background stamps are large stamps the approximate size of a full card front. You'll find these stamps on page 172 in the Annual Catalogue. Personally I like to go for the Wood Mount option when buying background stamps but they do come in Clear Mount as well. I haven't tried them with the Stamparatus but this would be brilliant for those times if you miss patches stamping such a large image the first time around. You can simply reink and stamp again with the Stamparatus. When inking these large stamps, the best way is to take the ink to the stamp, rather than the other way around. This avoids the potential of dropping a heavy stamp block onto your project and running the risk of spoiling it. It's also much easier to handle that way - you can see in the photo how awkward it is to hold such a large stamp in my hand. Once you've inked the stamp, take your cardstock and carefully lay it down on top of the inked stamp. 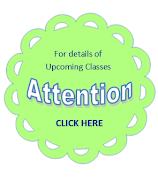 Take care not to move the cardstock during or after you lay it down, as this will smudge your image. 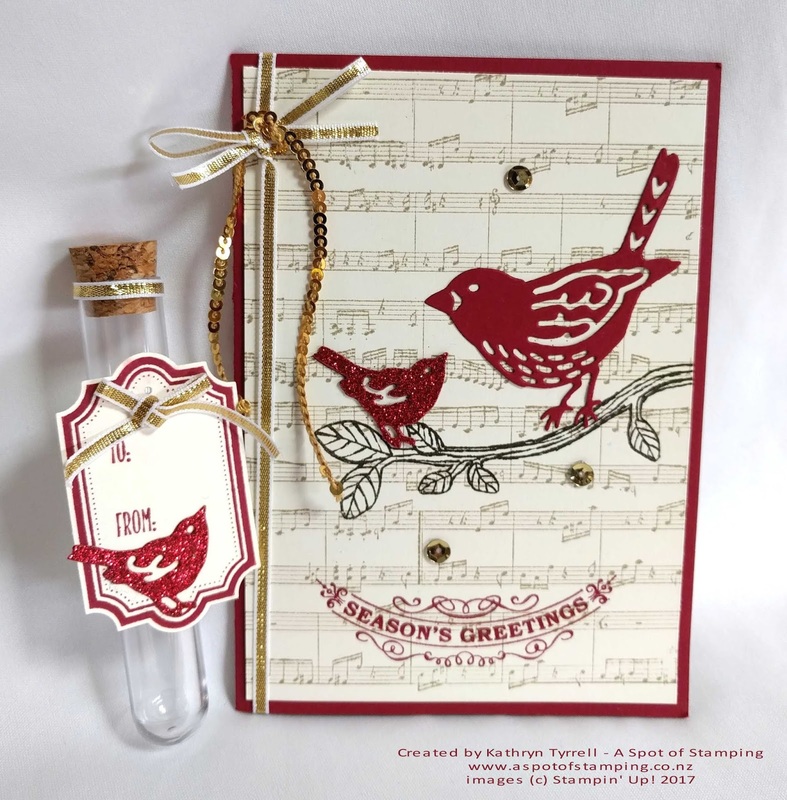 Place a piece of scrap paper gently over the top of the stamp and rub your hand over it to transfer the ink from the stamp to your cardstock. Carefully lift your cardstock off the stamp. Now that you have your background image stamped what are some of the ways you can use it? 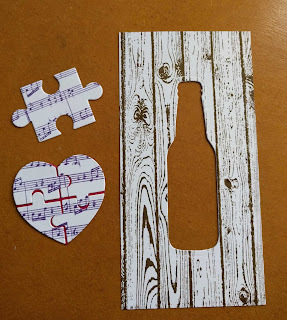 You can either cut your piece of cardstock smaller than the full size of the stamp and ink that, or ink up a piece of cardstock the size of the stamp, trim it down and save the rest for another project. We used a small strip on the card I taught at my class last month when we inked the panel with the Tree Rings background stamp. 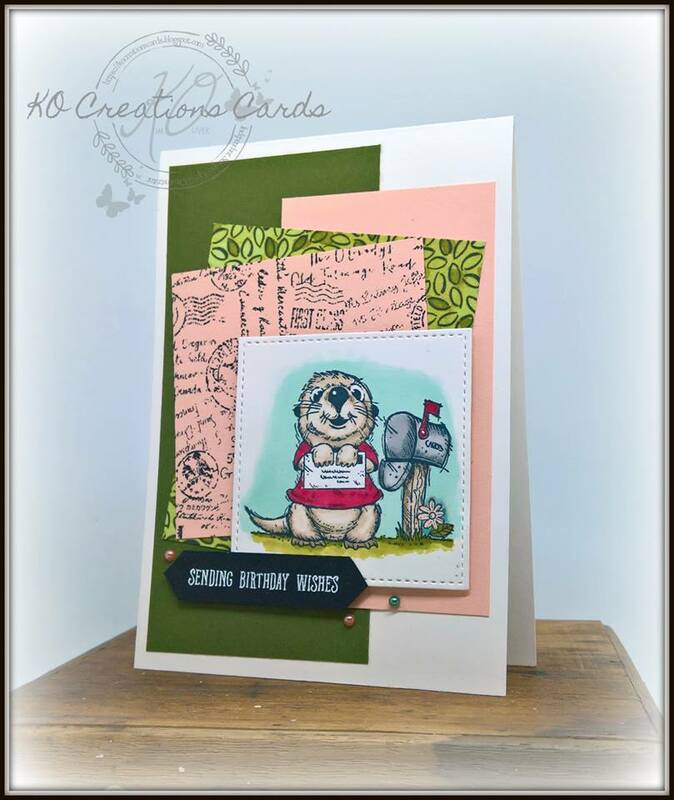 Here Kim Oliver (a fellow Stampin' Up! Demonstrator in Australia) has used a small piece of the Post Script background stamp to beautifully compliment the oh so cute critter from the Postcard Pals stamp set. I just love him, I think he's gorgeous. The piece you use doesn't have to be square or rectangular. Think outside the box and use your Big Shot to cut your stamped image into a shape. 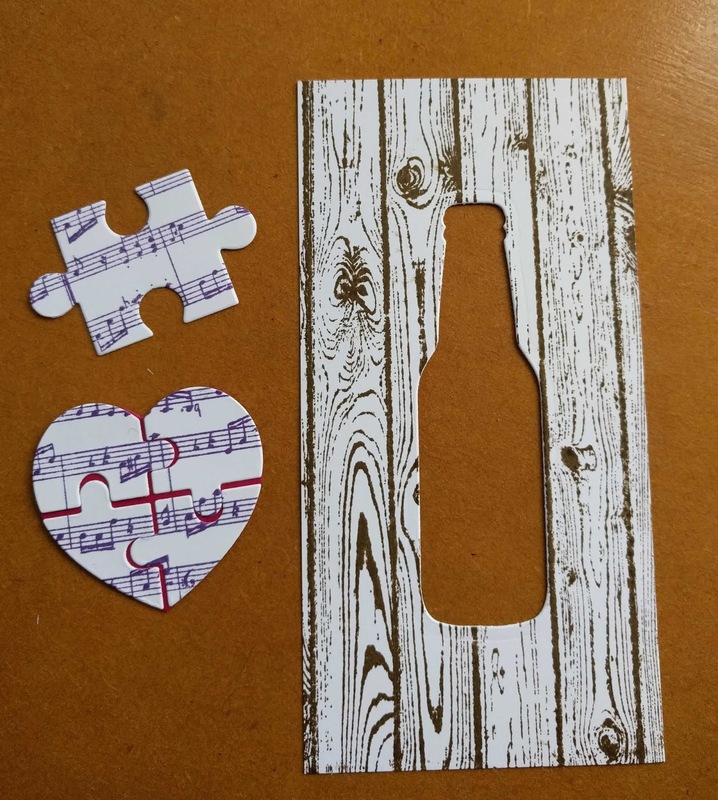 Don't forget about the negative piece when you die cut - this can be used just as effectively as the positive piece - especially with background stamps. Stamp your image in a light colour (or stamp off to get a lighter shade) and use it like a watermark. Stamp your main image straight over the top. Here is a card I made last Christmas using this technique. The Sheet Music background stamp was inked in Crumb Cake and the branch was inked in Early Espresso. The "Season's Greetings" was also stamped directly over the top. The Watercolour Wash background stamp is a good one to do this technique with and the girl with the umbrella from the Beautiful You stamp set over the top is perfect. Use your Stampin' Write Markers (not your Stampin' Blends) and colour directly on the stamp. Colour different elements of the stamp in different colours. Remember to re-moisten the ink by huffing on the stamp (as though you are trying to steam up a window) before you stamp your paper. Make a rainbow effect by colouring blocks of the stamp in different colours. Use the Watercolour Wash background stamp with some Watercolour paper or Shimmery White cardstock and spritz the stamp with water before you stamp it down for a fun watercolour rainbow. Stamp the image in black ink and then colour in small sections to highlight focal points. 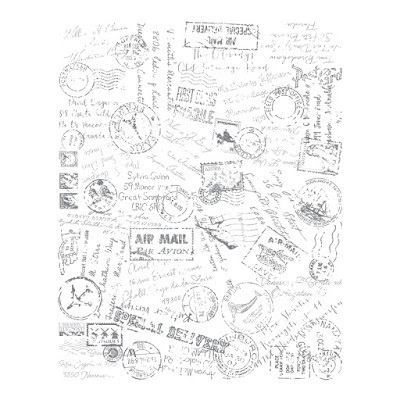 You might choose to colour the Air Mail Pavilion part of the Post Script background stamp in blue (Pacific Point perhaps) to mimic our Airmail stickers. Heat Emboss - Ink your image in VersaMark ink, sprinkle with white embossing powder and heat set the powder. 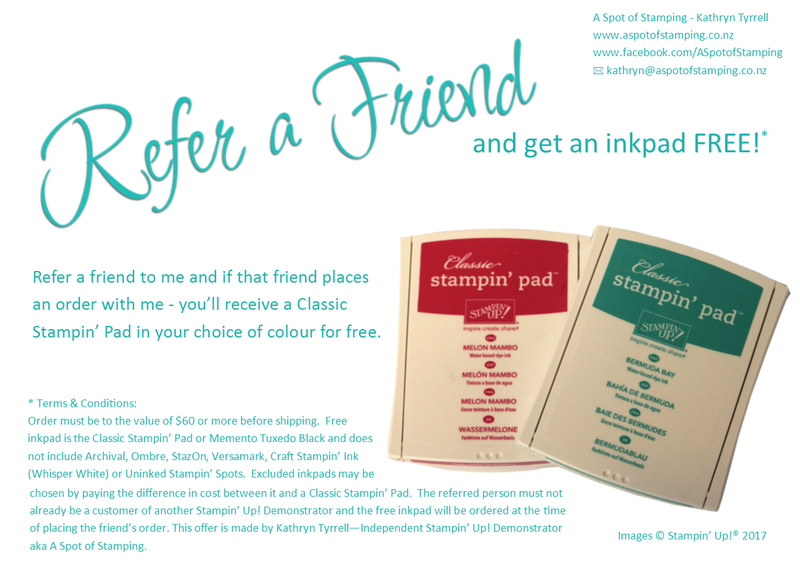 Use your Stampin' sponge and your inkpads to sponge colour onto different sections of the image. Embossing Paste - Spread a layer of Embossing Paste onto your project or a piece of cardstock, and whilst the paste is still wet, stamp your image into the paste. 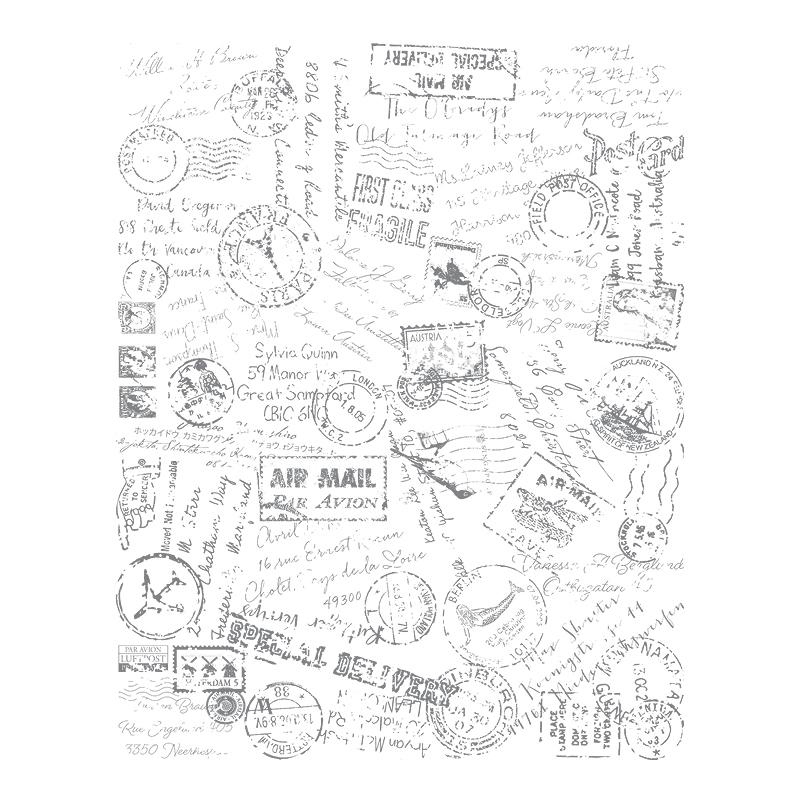 Make sure you clean your stamp immediately so that the paste doesn't dry onto your stamp. Dry Emboss - Stamp your image and emboss it using an embossing folder. With the right combination this could look really effective. The Watercolour Wash background stamp combined with the Softly Falling Textured Impressions Embossing Folder would give the effect that it is raining for example. The new Subtle Embossing folder would give some great texture to the Hardwood background stamp and really emphasize the grain in the stamp. I hope you found these tips on using Background Stamps helpful. If you'd like to see a tip featured in a future edition of my newsletter then please let me know. If you're on Facebook please like and follow my page. Have a great day.